The group welcomes André Röthlisberger, a visiting Ph.D. student from ETH Zurich, under Prof. Ralph Spolenak. 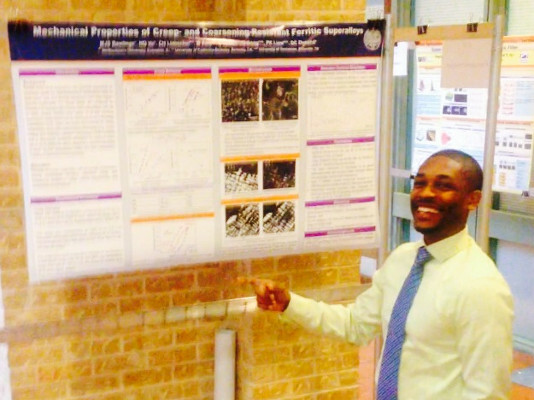 André will be working at Northwestern for a few short months on processing methods for novel directionally-solidified freeze-cast alloys. Welcome, Andre! The group welcomes Qinyuan (Chelsea) Liu, a first-year Ph.D. student, who will be working on Cobalt-base superalloys, co-advised with Prof. David Seidman. Chelsea has a M.S. degree in Materials Science and Engineering from Carnegie Mellon University and a B.S. in Metallurgy from the University of Science and Technology, Beijing. Welcome Chelsea! 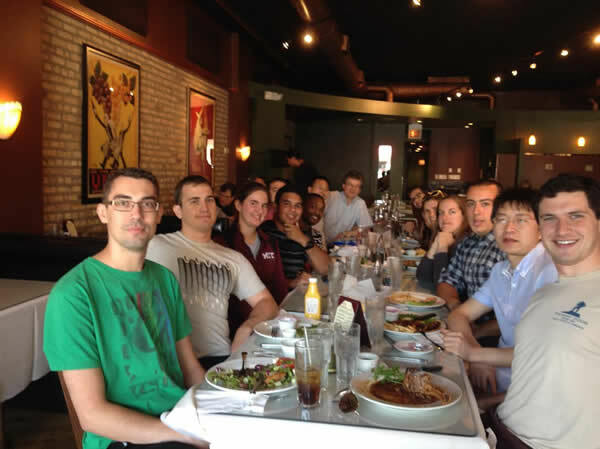 The group had a farewell lunch for Philipp Okle today at the Noyes Street Cafe. 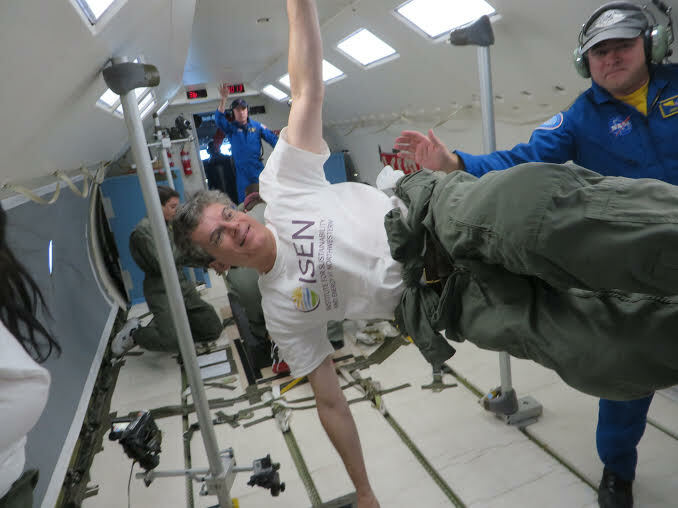 Philipp has been working on advancing our understanding of the Al-Sc system and achieved a great deal in the six months he has been at Northwestern. Philipp will now be embarking on a three-week roadtrip of the eastern half of the US before returning to Germany to begin his PhD at ETH Zurich (David's alma mater!). Congratulations Philipp and be sure to keep in touch. The group had a farewell lunch for Hyeji Park at the Noyes Street Cafe. Hyeji has been working closely with Amy on directionally freeze-cast Co foams for the past few months and achieved a great deal during her short tenure at NU. Congratulations Hyeji and best of luck in the future! The group bid farewell to Cong Wang at a lunch held at the Noyes Street Cafe. Cong has been with us for the past year working as a post-doc on vapor phase processing of Ni-base superalloys. He will be returning to Northeastern University in Shenyang, China as a professor under the "thousands talents program" sponsored by the Chinese government. Congratulations on the work you've accomplished while at NU, and be sure to keep in touch! 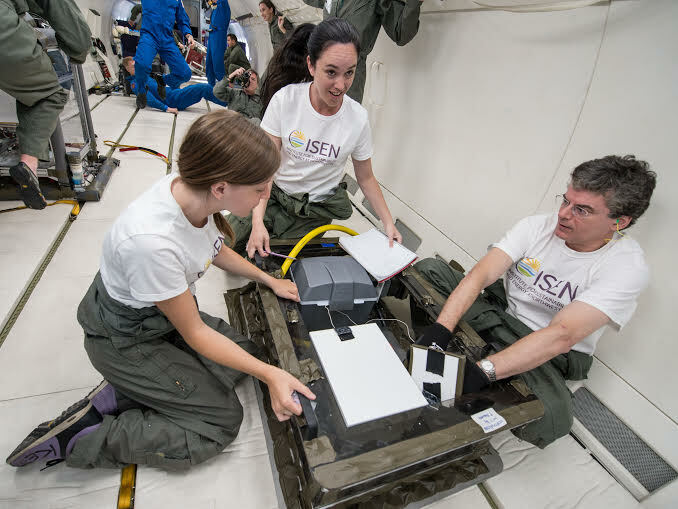 As part of an ISEN-sponsored study, David and a group of NU undergraduate students (Kristen Scotti, Felicia Teller, Emily Northard, and Kimberly Clinch) flew parabolic flights with the NASA Reduced Gravity Education Flight Program (RGEFP). In the experiment, aqueous slurries of TiO2 were solidified under microgravity; after post-processing back at Nortthwestern University, these slurries will become anatase foams with hierarchical porosity to be used as electrodes of dye-sensitized solar cells. Congratulations to Robert Schuld and Kathie Jaycox, who graduated today with B.S. 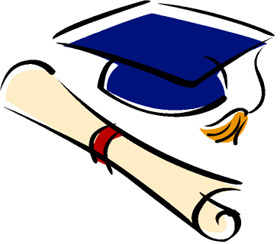 degrees in Materials Science and Engineering! Robby has been working closely with Pete and Daniel since 2011 and Kathie has been working with Shannon and Prof. Ramille Shah. Best of luck to you both and be sure to keep in touch! 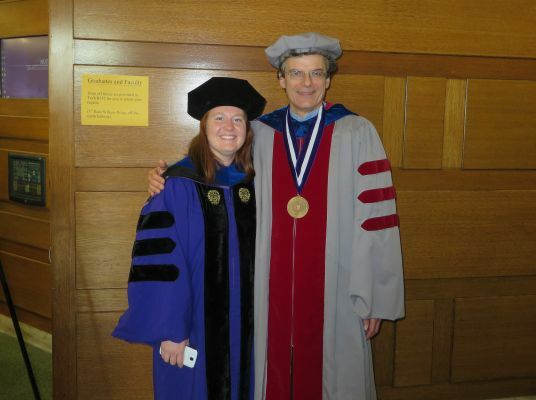 Congratulations to Dr. Catherine Bewerse (Tupper), who received her Ph.D. degree last Friday and will now be working with the Boston Consulting Group. Her thesis title is "Processing and Mechanical Properties of NiTi-Nb Porous Structures with Microchannels" and her project was co-advised by Prof. Cate Brinson. Congratulations Catherine! You will be missed. Welcome to James Coakley, who will be joining the group as a post-doc, joint with Prof. David Seidman. James will be working on Ni and Co-base superalloys. Welcome to Anthony DeLuca, who will be joining the group as a post-doc, joint with Prof. David Seidman. Anthony will be working on Aluminum alloys. Welcome to Philipp Okle, who will be joining the group to work on his Master's thesis. Philipp will be working on Aluminum alloys. Welcome to Hyeji Park, who is visiting us from Kookmin University. Hyeji will be working with Amy on freeze-casting of Co.
Congratulations to Ashley PazyPuente, who passed her qualifying examination and is now a Ph.D. Candidate! The group bids farewell to Liqiang Wang, who has worked with us for the past year and is now returning to Shanghai Jiaotong University. 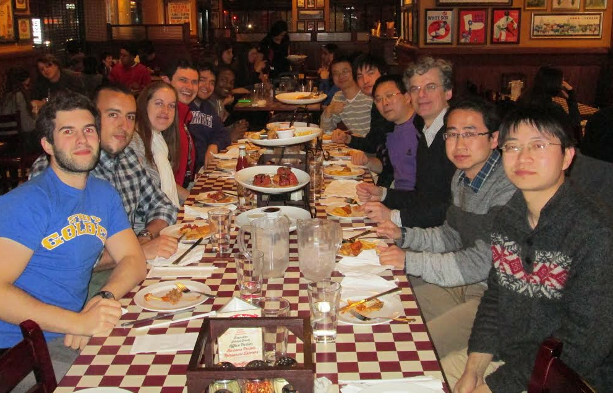 We held a party at Giordano's pizzeria in Evanston to commemorate his time here with a last taste of Chicago. Congratulations, and best of luck! Congratulations to Michael Rawlings, who presented a poster at the UT Energy Forum, and won both "Crowd Favorite" and 2nd place overall for his research poster. Mike is working towards his Ph.D. on a project involving a new, creep-resistant steel along with Dr. Nhon Vo at Northwestern and collaborators at the University of Tennessee (P. Liaw, a NU alum) and at Berkeley (Mark Asta, former NU faculty). The impact on carbon dioxide emission and fuel economy may be major, as this new steel may allow for hotter, higher-efficiency operation of fossil fuel power plants, thus lowering emissions and fuel consumption. The group was well-represented at the annual meeting of The Minerals, Metals, and Materials Society (TMS) in San Diego, California. Dinc Erdeniz, Peter Bocchini, Matthew Glazer, Daniel Sauza, Ashley Ewh, Gang (Joey) Chen, and David Dunand all gave talks, and Cong Wang and David Dunand helped organize and chair program sessions. For a .pdf fileof the full conference program, click here. Congratulations to Daniel Sauza, who passed his qualifying examination and is now a Ph.D. Candidate!